To what depths will society sink satisfy its wants and needs? Is there any limit to the inhumanity and depraved lengths a society will go to satisfy its needs and wants? I believe in post modern America, or the world for that matter, there is no limit. As I have written in past articles, and most of you the informed are aware, the Center for Medical Progress has videoed Planned Parenthood’s heinous and callous disregard for innocent human life with its selling of baby body parts from the 320,000 abortions it performs each year. The prolife organization Children of God for Life (CGL) has recently released a listing of the products that are either made or tested with the cells of aborted babies. But through unwavering faith and tenacity by prolife groups, companies like Pepsico, Kraft foods, and Campbell Soup have been persuaded to pursue other ethical alternatives for testing their products. In 2011-2012 CGL successfully boycotted Pepsi that drew worldwide attention and forced them to rescind their agreement with Senomyx, a company that produces artificial flavors enhancers for food and beverage companies using the “Fetal cell line HEK-293”. 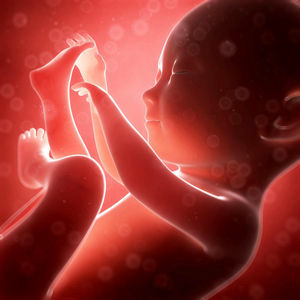 CGL also noted that there are some vaccines, medicines, and cosmetics that do use fetal materials derived from aborted babies in their products; there is a list of these at CGL’s website. Those who are prolife have for many years known of the products involved and steer clear of them. Prolife concerns, and the efforts they have made, have had a positive effect on those companies that in the past have tested their products with aborted baby cells. CGL’s Debi Vinnedge in a 2015 article at LifeNews stated that aborted fetal material has never been used to cure any disease, and went on to say “The fact of the matter is that aborted fetal material is absolutely unnecessary for vaccine production or medical research. There are numerous FDA approved moral cell lines, and if human cells are desired, they can be obtained from a plethora of non-objectionable sources including umbilical cord blood and adult stem cells.” Many doctors and researchers agreed with this statement. This is just an observation, but what role, if any, does Planned Parenthood have in this heinous use of unborn remains. Yes, in their case we were dealing with baby body parts, but parts, tissue, is there any difference be it vast or marginal? I think not. All Americans should be concerned and troubled with this callous disregard for human life, especially from abortion. How despicable and inhuman some people can be is clearly apparent in the case of International Biological Inc. (IBI) in Detroit, Michigan. Arthur Rathburn is the owner of IBI and was convicted and is serving a nine-year prison term for having deceived customers about infected human remains that he rented to medical training groups, and for illegally transporting hazardous materials. In a case such as this, so horrendous and disturbing, there are bound to be aspects and discoveries that did not make it to trial. Authorities raided IBI’s warehouse, and the remains of 4 second-trimester babies were found. Authorities are now trying to determine what they are to do with the remains. The local news in Michigan reports that the FBI has in its evidence storage an undisclosed amount of bodies, heads, arms, legs, and other assorted organs, and fetuses. On June 05 officials issued a request for a court order to cremate the remains and return the ashes to the families involved. They say “Art imitates life,” but even in the distorted and depraved minds of Hollywood movie makers have we yet to see, on the silver screen, so gruesome and heinous a story line that shows just how life in the real world has lost its value. But be patient friends, something is probably in the planning and preproduction stage, coming to a theater near you.